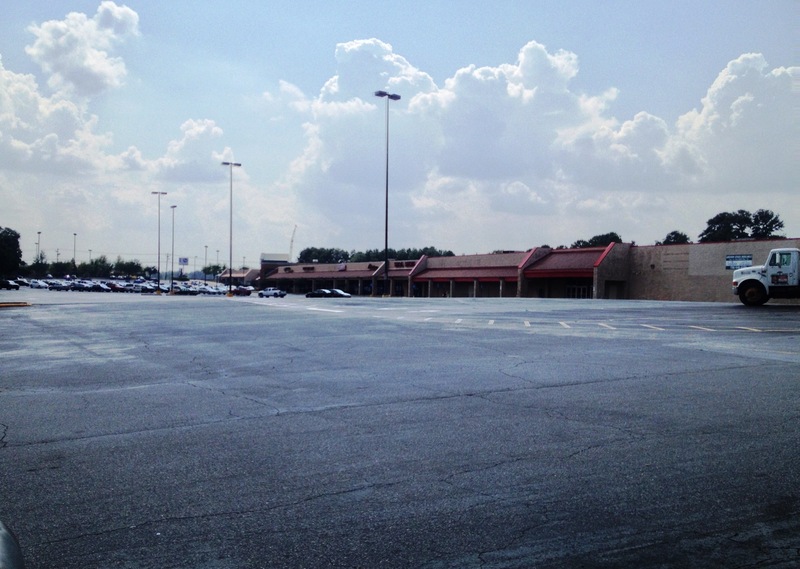 This past July, Kroger presented to the ACC Planning Commission a plan to move their College Station Road location next door to the vacant Kmart space. Kroger wants to dramatically upgrade that store in the same way they recently upgraded their Alps location. To get what they want, Kroger needs to rezone the property from commercial general (C-G) to commercial general planned development (C-G (PD)), thereby allowing them to waive many of the current design standards. Many of these standards are meant to make developments more attractive to pedestrians, but our minimum parking requirements undermine the point of these standards. As people in Athens and across the country continue to demand more pedestrian-oriented developments and neighborhoods, we should seriously reconsider the antiquated attitude of catering to the car and revise our minimum parking requirements. To start, the initial plan submitted by Kroger is a vast improvement over the current situation. Anyone who has ever visited that center knows how much of a hassle it is to navigate the parking lot by car or by foot. There is very little structure for the movement of cars or people, resulting in a chaotic atmosphere for everyone. Kroger’s plan calls for extending the sidewalk-lined street that runs through the Georgetown Shopping Center into their development and creating several new intersections. This will provide a tremendous amount of organization that should make both drivers and pedestrians feel much safer as they navigate from the car or sidewalk to the stores. Though the extension of the street creates a more pedestrian-friendly environment, as long as our design standards fundamentally value cars over people, the Kroger center will never truly be hospitable to walkers. Our current design standards provide, by right, ample or excessive parking. In this case Kroger gets a minimum of 1 space for every 300 sq. ft. We then have other design standards meant to make this excessive parking aesthetically pleasing and more pedestrian-friendly. Many suburban developers are opposed to any restrictions on parking because either developing for the car is all they know or they aren’t willing to reduce parking while other developments have ample parking. Kroger’s current situation, coupled with our growing demand for walkability, evidences the need to make fundamental changes by revisiting parking requirements and disrupting the status-quo. Several of the 25 requested design waivers could, if granted, negatively impact the walkability of the center. Many of the waivers are being requested because our design standards would eliminate many of their entitled parking spaces. 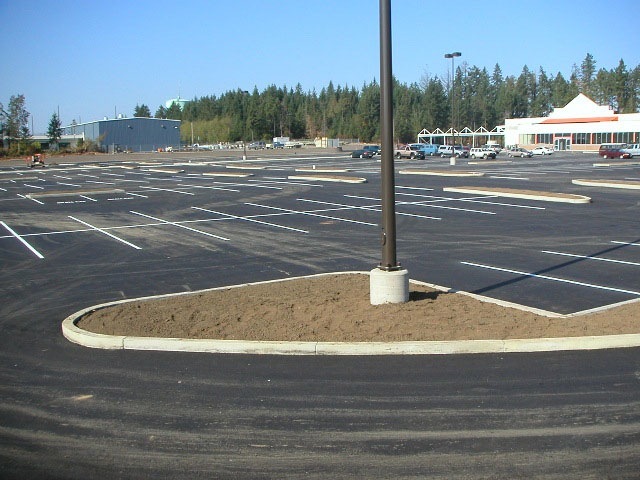 Take for example their request to waive part of a requirement that calls for pedestrian walkways in parking lots. Kroger’s plan has a walkway that connects to the internal street, but instead of taking pedestrians to the entrance of Kroger, it drops them off about 150 feet south. Many planning commissioners objected to this and demanded a more direct route to the entrance. In addition to this, Kroger’s plan failed to meet minimum tree requirements and minimum public plaza requirements. As long as parking spaces are entitlements, reaching an agreeable plan will be an arduous process. Is this seriously the best use of land? When we talk about design standards to promote walkability, parking requirements are clearly the elephant in the room. There is only so much we can do for walkability when we require excessive amounts of land to be devoted to the car. Minimum parking requirements were implemented throughout the country in the latter part of the previous century as a means of accommodating and promoting the increasingly popular automobile. But times have changed. We don’t necessarily want to eliminate the car, but we are less excited about it and we do want the ability to walk and bike to places in a safe manner. We have great design standards meant to encourage pedestrian activity and make walkers feel safe, but those only operate in the framework of minimum parking requirements. Kroger wants to improve and expand, and our planning commissioners appear to want more walkability; but since Kroger will avoid giving up its parking spaces at all costs, it’s going to be a game of tug of war. We should seriously consider revising the minimum parking downwards to allow our pedestrian-oriented design standards to be more easily implemented. A more fundamental change could be to place the burden on developers to request more parking by eliminating minimum parking altogether and only imposing maximum parking restrictions. In Kroger’s current situation, this type of system may avoid fights over parking and walkability and speed the process of approval and economic growth.